Do you have a favorite Dr. Seuss book? There are SO many to choose from, but one favorite is The Lorax! 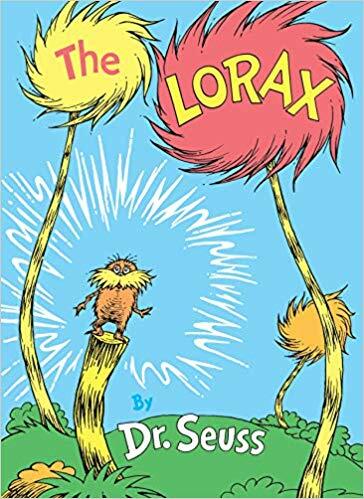 In this classic story, Dr. Seuss speaks through the vibrant character of the Lorax to warn against mindless progress and the danger it poses to the earth’s natural beauty. 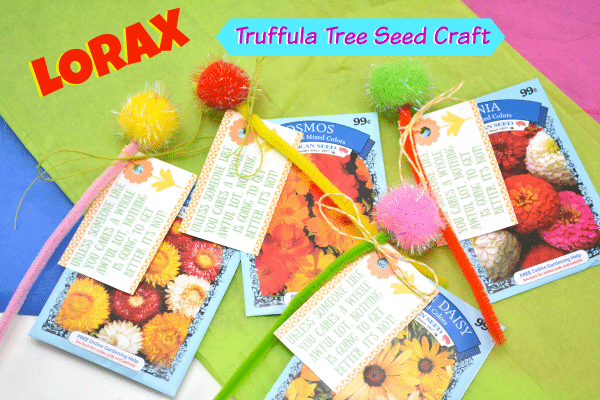 Whether you’re getting ready to celebrate Dr. Seuss’ birthday or just doing a learning unit on THE LORAX we have a fun Lorax Truffula Tree Seed Craft. Using a few simple supplies you can put together these cute truffala trees. Print out our Lorax quotes and attach to the trees along with a packet of seeds to make a special gift. 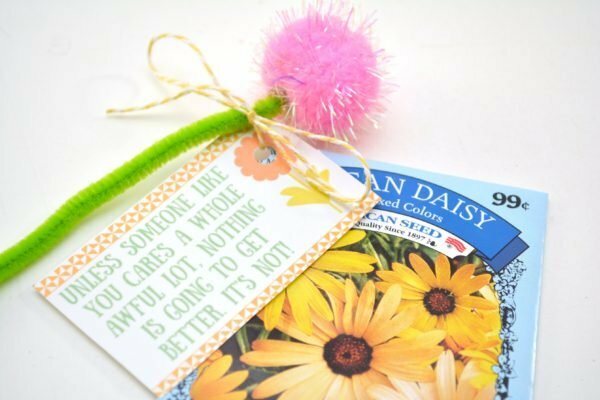 These make a special gift for Earth Day, Dr. Seuss’ birthday, Mother’s Day, Valentine’s Day or “just because”! 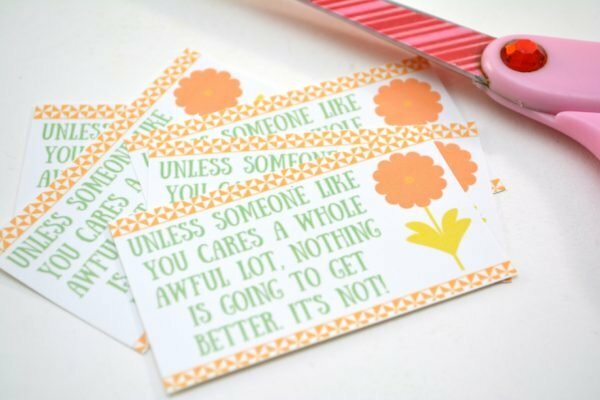 Step 1: Cut out the Lorax quote cards from the printable. Step 2: Punch a hole in the corner of each card. Step 3: Punch a hole in the upper corner of each seed packet. 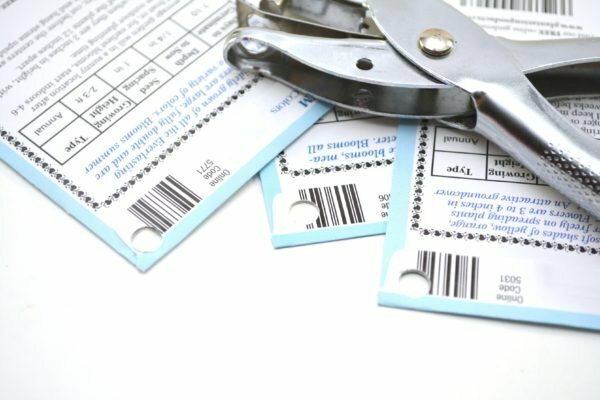 Be sure to do it where the package is sealed at the top so that the seeds will not leak out! 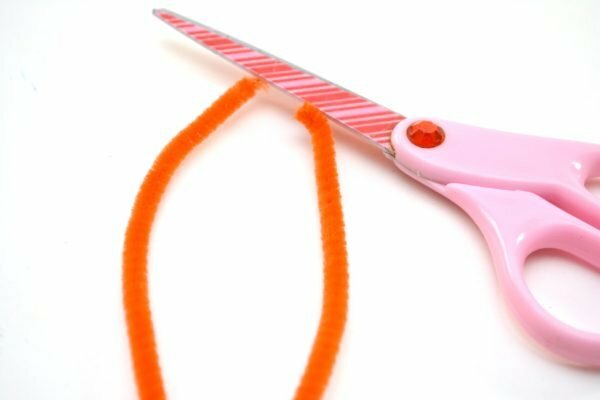 Step 4: Cut a pipe cleaner in half. 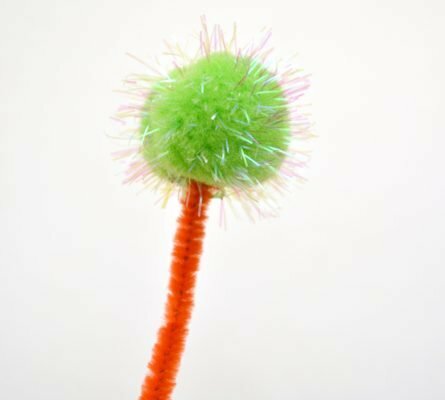 Step 5: Use a hot glue gun to attach a glittery craft pom pom to the top of a piece of pipe cleaner. 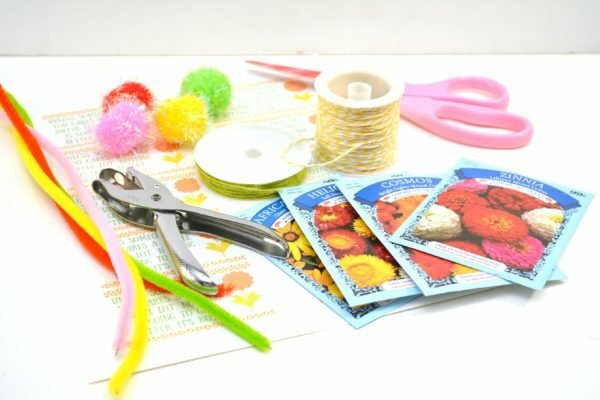 Step 6: Thread a piece of ribbon or string through a seed packet and then through one of the Lorax quote cards. 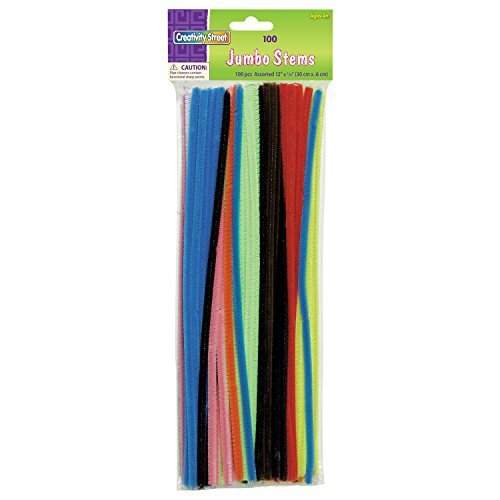 Tie the ribbon or string into a bow around one of the pipe cleaner truffula trees. 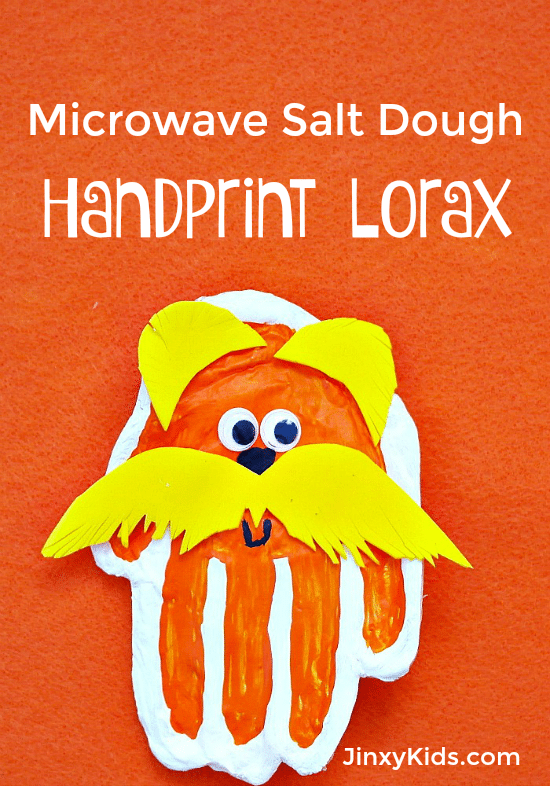 For more Dr. Seuss Lorax fun, make this Handprint Lorax Craft with Microwave Salt Dough! I love this craft idea. This would be great for my grandkids. This is really cute, I’m going to make this with my kids. What a fun floral craft! Love this! my kids enjoying doing craft and with a day like today where we have a winter storm, this would definitely work in our house. Great idea! That’s so cute! 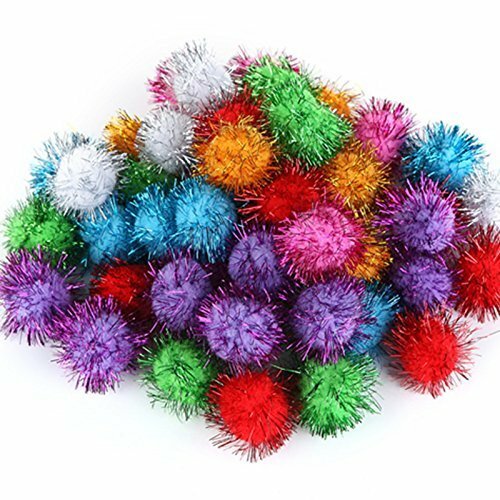 I always wondered what I could make with those puffy balls. Now this gives me lots of ideas! Adorable, especially since The Lorax is one of my favorites! 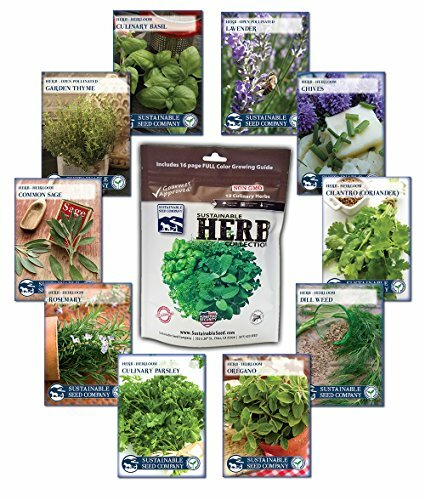 I especially like this as an Earth Day gift idea. 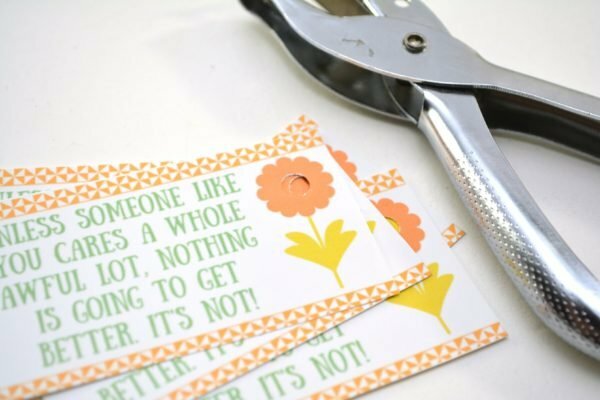 This craft is really cool because you can use it as a teachable moment for Earth Day! My kids will think this is fun also. Win for all of us! I agree that this makes a very good Earth Day card to give to friends. Those are cute. I would love to make these with my niece’s. I love this idea! I am totally going to do this for my daughter’s pre-school class. This is such a great alternative to handing out candy. Oh my gosh that handprint Lorax is so cute. I like the saying on the seed packet. This is just so cute. Thanks for sharing. A great Dr Seuss themed craft project. How cute they love Dr Suess characters too, love all the different colors you can do. 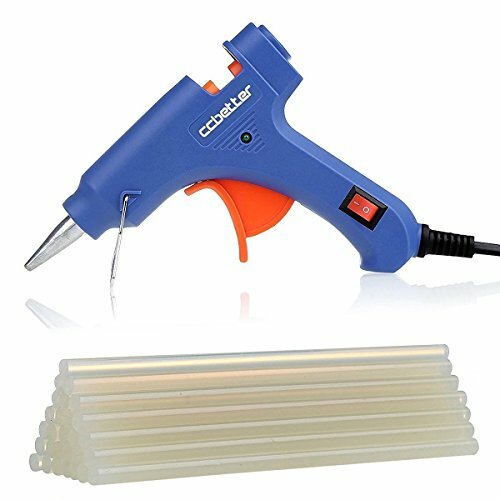 I have been trying to find crafts for my three year old. I really want him to get used to things like that. He is very creative already. I want to support it as much as I can! 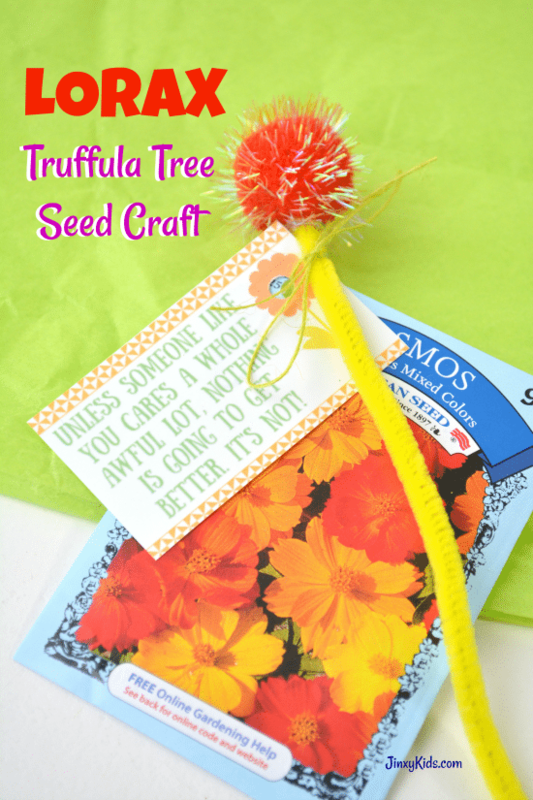 I love the Truffle Tree Seed Craft. Pinned that one to do. One of my favorite Dr, Suess books and this craft looks so fun.